Academic calendar information for all campuses is available online. Sept. 5-Feb. 11, Exhibit: “Into the Woods: Nature in Your Library” Diversity Studies Room, 203 Pattee Library, Explore the Eastern Forest, its wildlife and botanical wealth. Libraries’ resources, services, unique collections and course materials will guide you on the trails of nature education and exploration. Discover local environmental programs. Be inspired by the instrumental work of women conservationists. Check out the related books, maps, movies and more, and get … Into the Woods. Jan. 28-Sept. 1, 2019, Exhibit: “The Secret Lives of Girls and Women” Eberly Family Special Collections Library, 104 Paterno Library. 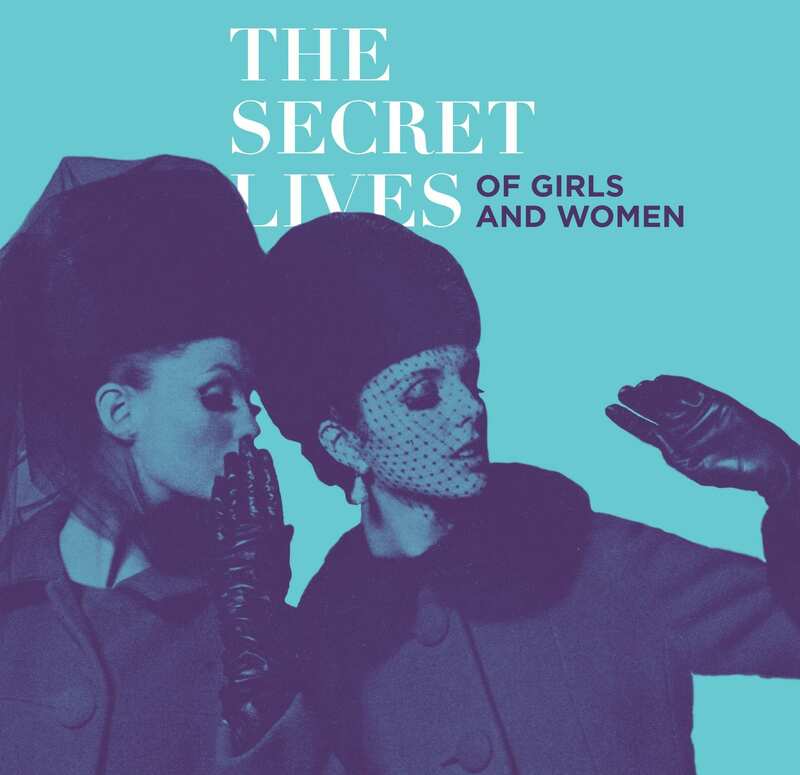 Through the examination of books, letters, hand-written diaries and other archival materials, The Secret Lives of Girls and Women exposes a wide spectrum of feminine mysteries. The exhibition includes many hidden or concealed aspects of female life found within beauty secrets, secret languages created by women, literary secrets, social taboos and more throughout history. Thursday, Feb. 7-Tuesday, Apr. 2: Spring 2019 Scholarly Communications Workshops. A series of workshops covering topics such as open access, copyright and fair use policies will be offered throughout the spring semester for students, faculty and staff. Coordinated and led by Ana Enriquez, scholarly communications outreach librarian, all workshops are free and take place either on Zoom or Paterno Library. Varying times in Mann Assembly Room, 103 Paterno Library and via Zoom. Monday, Feb. 11, Code for Her ++ Workshop. Learn how to build a Google Assistant Action in a free workshop for students, faculty and staff. No experience or Google device necessary, just your laptop. 6-8 p.m., Foster Auditorium, 102 Paterno Library, University Park. Wednesday, February 13, (All In) Voices. The Libraries’ third annual personal storytelling event featuring open discussions and Q&As with individuals who will tell their stories to raise awareness and foster diversity and inclusion. Bestseller Panel at 11 a.m. – noon, and autobiographical discussions at 1-5 p.m., Foster Auditorium, 102 Paterno Library and various Pattee and Paterno Library locations, University Park campus. Monday, Feb. 18, Communicating with International Students & Colleagues: Tips for Understanding Each Other. Practice respectful techniques that improve your ability to understand and be understood.Part of a lunchtime workshop series hosted by English for Professional Purposes Intercultural Center (EPPIC). Register online HERE or email eppic@psu.edu if you would like to participate via Zoom. 12-1 p.m. at 322 Sackett Building, University Park campus. Thursday, Feb. 21, Launch your geospatial projects: Foundations and Searching for Geospatial Data. An overview of geographic information systems (GIS) concepts, geospatial data, geospatial software, and an introduction to geospatial analysis topics relevant for multiple disciplines, with a focus on searching geospatial data resources using library resources and additional data sources. Resources and data for this session at Maps and Geospatial: Geographic Information Systems (GIS) guide. 3-5 p.m., 211A Pattee Library, University Park. No registration is required, open to all Penn State students, staff, faculty and visitors, with remote viewing available online using Zoom. Wednesday, Mar. 6: Docunight: Iran Via Documentaries. On the first Wednesday of every month, Docunight features a documentary film about, around, or in Iran, or made Iranians. All events are open to everyone, and all films have English subtitles. Co-sponsored by the Iranian Student Association and the University Libraries. 7 p.m. in Foster Auditorium, 102 Paterno Library, University Park. Thursday, Mar. 14, Geospatial Online: Overview of ArcGIS Online. An Introduction to ArcGIS Online, a web mapping application which can be used to communicate spatial research interests across the disciplines. Participants will explore applications created with ArGIS Online and work with a sample dataset. More information HERE. 3-5 p.m., 211A Pattee Library, University Park. No registration is required, open to all Penn State students, staff, faculty and visitors, with remote viewing available online using Zoom. Thursday, Mar. 28, The Charles W. Mann Jr. Lecture in the Book Arts. Jesse Ryan Erickson, Coordinator of Special Collections and Digital Humanities, Associate Professor in the Department of English in the College of Arts and Sciences, and Assistant Director of The Interdisciplinary Humanities Research Center at the University of Delaware will offer a lecture titled A Different Kind of Reading: Victorian Popular Afterlives, providing an examination of the works of Victorian author Ouida (1839-1908), and exploring the ways in which racial consciousness affects one’s interaction and engagement with a text through its textual contents and materiality. 4:30-5:30 p.m., Foster Auditorium, 102 Paterno Library, immediately followed by a reception in Mann Assembly Room, 103 Paterno Library. Wednesday, Apr. 3: Docunight: Iran Via Documentaries. On the first Wednesday of every month, Docunight features a documentary film about, around, or in Iran, or made Iranians. All events are open to everyone, and all films have English subtitles. Co-sponsored by the Iranian Student Association and the University Libraries. 7 p.m. in Foster Auditorium, 102 Paterno Library, University Park. Thursday, Apr. 11, Geospatial Analysis: Using GIS Desktop software. An introduction to geospatial processes in ArcGIS ArcMap and ArcPro software. This informational session introduces and utilizes key software terminology, along with examples of the functionality within the software. Maps and geospatial examples will be provided in an interdisciplinary manner. More information HERE. 3-5 p.m., 211A Pattee Library, University Park. No registration is required, open to all Penn State students, staff, faculty and visitors, with remote viewing available online using Zoom. Friday-Sunday, May 3-5: Spring Commencement. This entry was posted in Events on February 4, 2019 by Jennifer Ann Cifelli.